Samsung Galaxy TAB S2 8.0 SM-T715 devices are getting official Android 6.0.1 Marshmallow update. Here is a very simple Step By Step guide to update the Marshmallow Update Manually on the Samsung Galaxy TAB S2 SM-T715 (Hungary). Just grab the Firmware update using the SamFirm utility or SamMobile or Samsung-Updates website as provided in the below section and then follow the manual OTA update process to get the latest Marshmallow update. 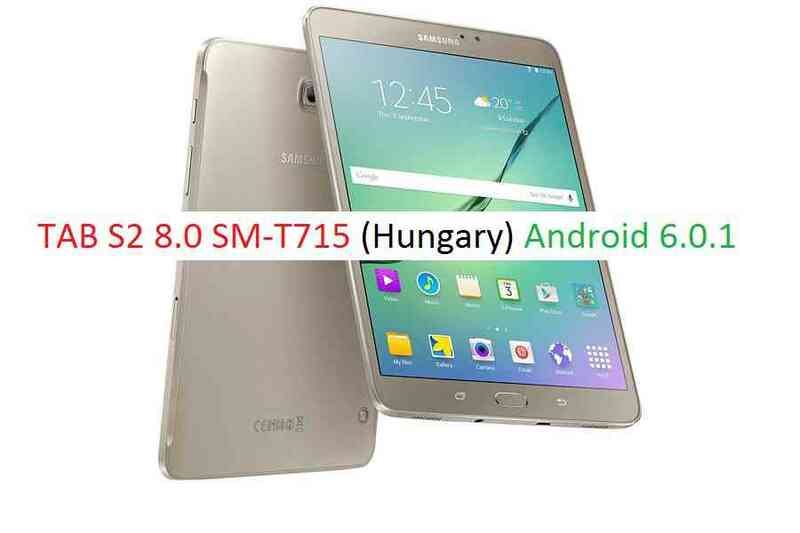 – Download the Latest OTA From Samsung Updates for the Galaxy Tab S2 SM-T715 (Hungary). DONE!!! Your phone will now be booting into the Latest Samsung Galaxy TAB S2 SM-T715 (Hungary) Android 6.0.1 MARSHMALLOW Update. If you have any concerns while following this update then just login to comment. Till the next update just stay tuned.